We're all up in arms this week about Donald. J. Trump being a racist, just like his daddy, as if somehow this is a freak occurrence that disrespects the integrity of the office of the Presidency, but after Obama, this is just normal service being resumed. People have been posting memes, after the marches, showing the Nazis getting their assess kicked in WW2 - but Roosevelt and Eisenhower, those leaders of The Greatest Generation, who fought the Nazism and defeated fascism, were racists all the same, who really only fought for white freedoms and not Black ones. Eisenhower, for example, considered that the most repugnant act of his Presidency was to assist in the desegregating of an Arkansas high school. Different 'good ole times' people will say - ahhh, well, that's OK then. Is it too much of a stretch to propose then that outside of Jimmy Carter probably every other White President was a racist? People will say, well, what about Lincoln the man who freed the slaves? He wasn't a racist right? Well, his biographer Fred Kaplan, insists that "even Lincoln could never bring himself to embrace racial equality" but he gets a pass here as does LBJ for actually passing Civil Rights Legislation in 1964. "President John F. Kennedy is often credited with being a champion of civil rights, but, in fact, he was a reluctant advocate. He only delivered his famous speech describing civil rights as a “crisis” and a moral issue in 1963, after years of racial confrontations about school desegregation and violent protests in many American cities. Only when he saw the brutal attacks by Birmingham, Alabama, police on peaceful student demonstrators, egged on by the governor and the mayor, did he realize he had to speak to the nation." "No, I don’t really think he was. [He] really didn’t even think in terms of black and white. But at the same time, [he] didn’t really associate with African Americans except on a servant level...When John Kennedy was in college, he had a valet that his father paid for who was a black man; he included that guy in a lot of his activities. There was sort of a fraternity there where he brought him in, but he didn’t bring him in too closely." Seems like conclusive proof to me - case dismissed. But what Kennedy reluctantly started, LBJ finally passed in 1964 - so Kennedy gets a pass too. People are thinking, well if Hillary had won...if only Hillary had won. Hillary 'Super Predator' Clinton (see below) would have been no different, just better than Trump at it. She would have said the right things after the march, hugged someone, cried with them and then continued on with policies which hurt Black communities all the same - just like her husband did. 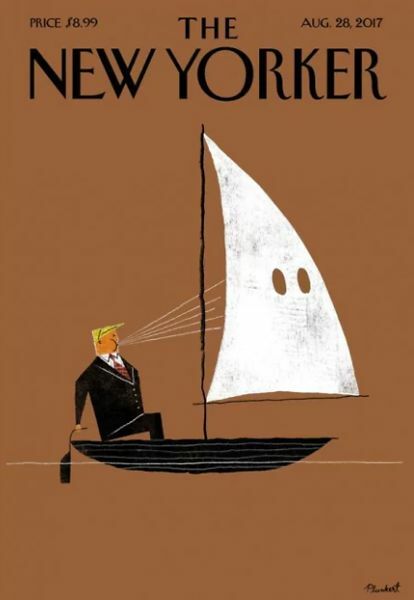 The world seems so shocked by Trump's outwardly racist comments and yet I'm not so sure why as the sole concern of a President is to protect American interests - and throughout its history those interests at home, at least, have been to maintain a white supremacy - something which every Person of Colour in America already knows to be true. I'm not an American historian or scholar, well you guessed that, and I will never know what exists in the hearts of those who have held office but actions speak louder than words and it's the actions of Donald. J Trump, which will come to bear in the coming days of his Presidency, which I fear most. By the way, always think carefully about the names you choose to give to your children! I know this as my namesake is in at #2 on the list below.